For the last three plus years, the extended logistics from aircraft operators to trucking companies and supply vessels to drillers, has been in serious financial pain. Add to this, the plethora of mergers, acquisitions and bankruptcies globally, make this space even more challenging. Companies have “worn out” the text book retrenchment techniques from firing staff to cutting the coffee fund. And it seems like some are just waiting for it to just roll back. I like that slogan in the Oil Patch “God please give me another chance and this time, I will not p_ss it away”. Well, that $100/barrel may not happen too quickly. But numerous Oil & Gas Operators and supply companies are profitable even at $50/barrel. Deloitte declared in an outlook paper that Oil companies have learned how to operate in a lower price environment, returning to a healthier focus on capital and operating cost discipline. Recently, it was announced that Transocean sent the Rig Pathfinder to the chopping block (saving $15K a day in storage). Bristow, the world’s largest Helicopter operator stated that the offshore transportation market is in a state of “structural downturn” and requires fundamental change as it rebuilds. There is no magic to the turnaround in my opinion. 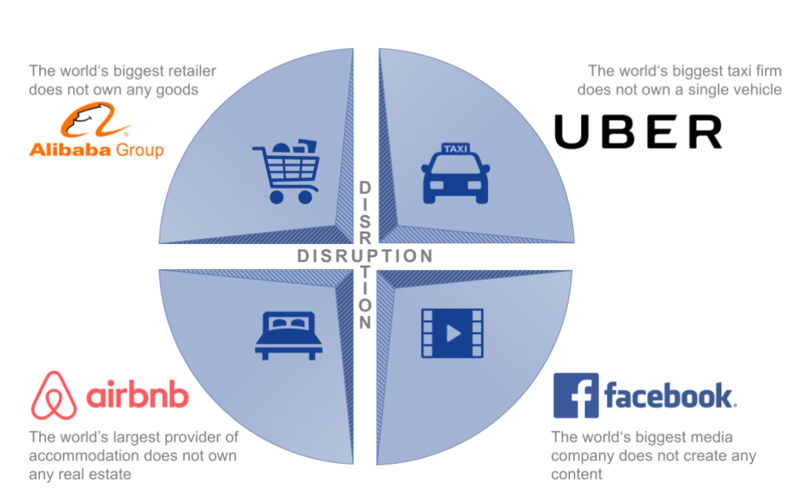 But a new buzzword to leave you with is DISRUPTION. This may be the new normal. Brands that embrace it seem to be ahead of the trends. And a common factor is that they all understand the sharing economy and IT. It is strongly suggested to really embrace technology in anything and everything you do. And bust down those doors on the paradigms of yesterdays business. Have a serious chat with those managers and workers who say we always do it that way. Support and encourage those new innovative thinkers to grow in your NEW business models. Let’s have a conversation. What is your company doing?